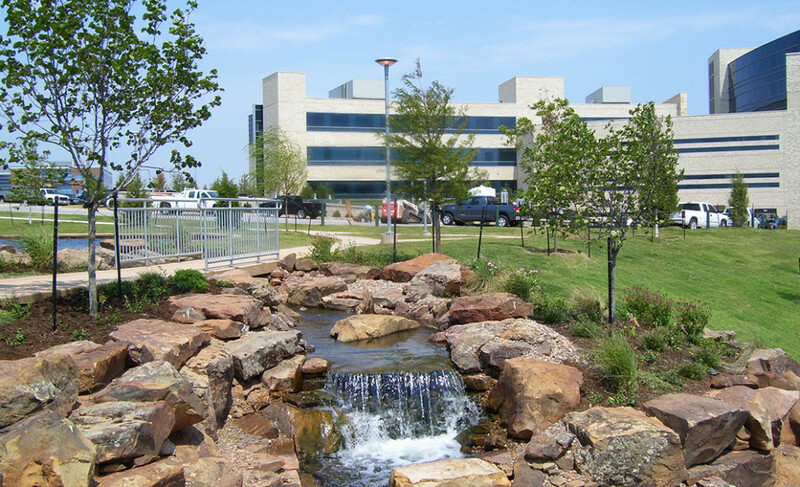 This major medical center is located on 34 acres of raw land west of Norman, Oklahoma. An existing large pond is located within the treeless and natural prairie site. Framing the north side of the hospital is a major tree-lined boulevard that provides convenient access to shaded parking areas and three prominent entryways. The parking design focuses on convenient direct pedestrian access to the hospital, crossing Medical Park Drive at key locations. 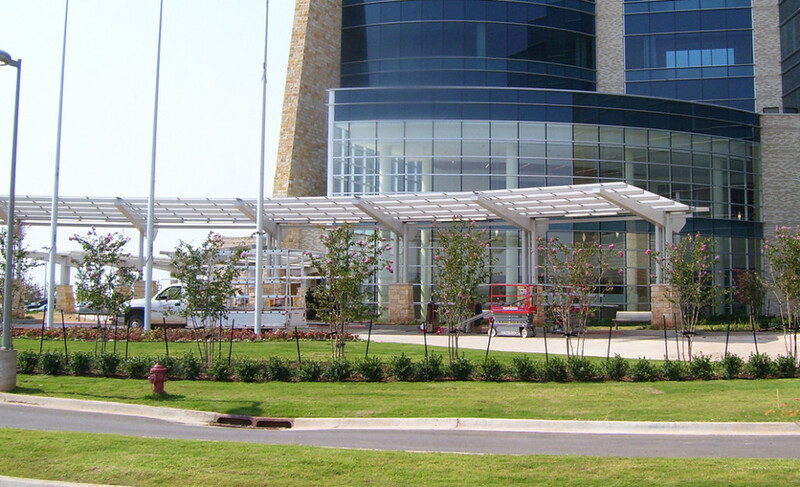 Hospital entrances are articulated with special arced pedestrian paving patterns, seating for hospital patrons and custom-designed bollards that separate automobiles from pedestrians. The central site feature is two lakes created from the existing stock tank. 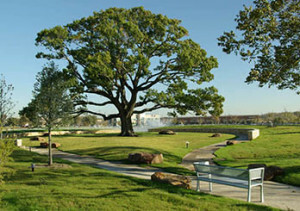 These two water features are connected by a small natural stream crossing under a looping pedestrian trail surrounding the larger lake. 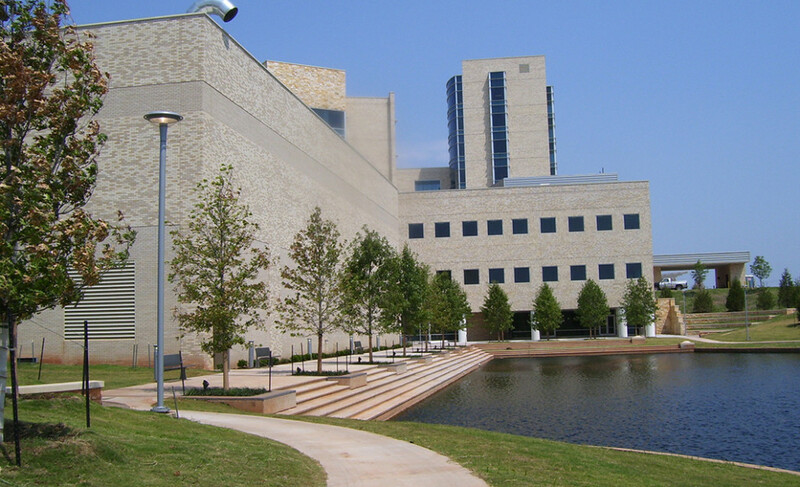 The restored and enlarged lake was shaped to enhance key views from the hospital’s interior public areas and cafeteria spaces. Outdoor dining spaces were planned off the cafeteria and along the lakeside promenade that has steps leading to the water’s edge. 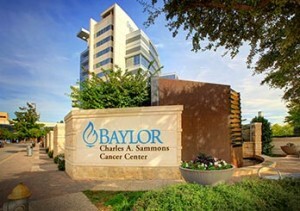 New plantings of trees and shrubs frame and backdrop important views in this natural wellness setting.